3.5x4.5 Custom Picture Frame Apple Punch Magnets - Outdoor & Car Magnets 30 Mil can make your promotions more effective and wide spread. Why should your promotions be limited to a particular neighborhood or geographical area when your brand has a bigger potential? 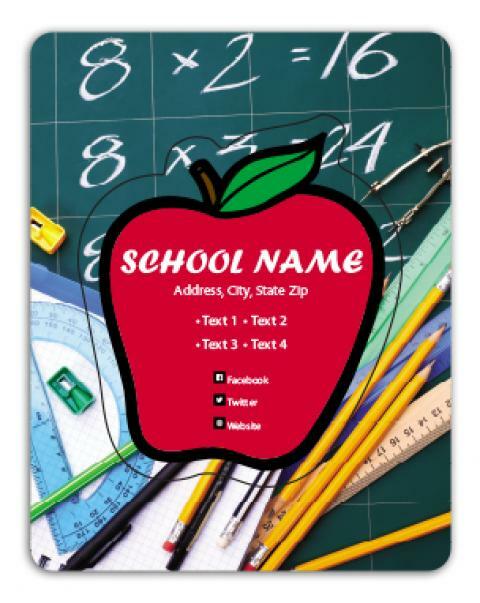 Schools, health care services and organizations can make the most of these custom school magnets for their promotions. Order these UV safe, water repellent and fade resistant printable magnets fast and enjoy free shipping. Request a quote to know wholesale savings for these 3.5x4.5 Custom Picture Frame Apple Punch Magnets - Outdoor & Car Magnets 30 Mil.